Let GetTesting take care of your building’s fixed electrics. 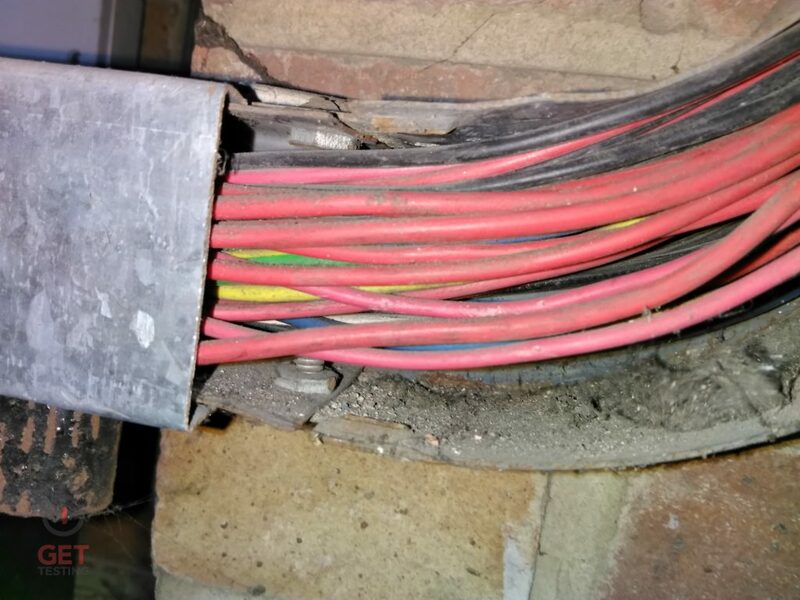 Fixed Wire Testing, or an EICR (electrical installation condition report) involves a set of visual inspections followed by a series of electrical tests that will highlight any potential problems and establish whether your electrics meet the Wiring Regulations or not. With no hidden costs & fixed rates per circuit our simple pricing structure is easy to understand and won’t land you with any hidden surprises. 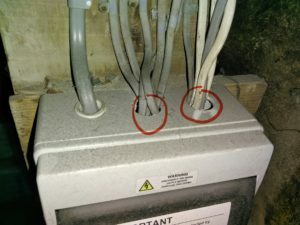 The holes in this lighting distribution board circled should have a grommet to stop the outer sheath of the cable rubbing on the sharp surface & meet IP4X to stop solid particles over 1mm entering. 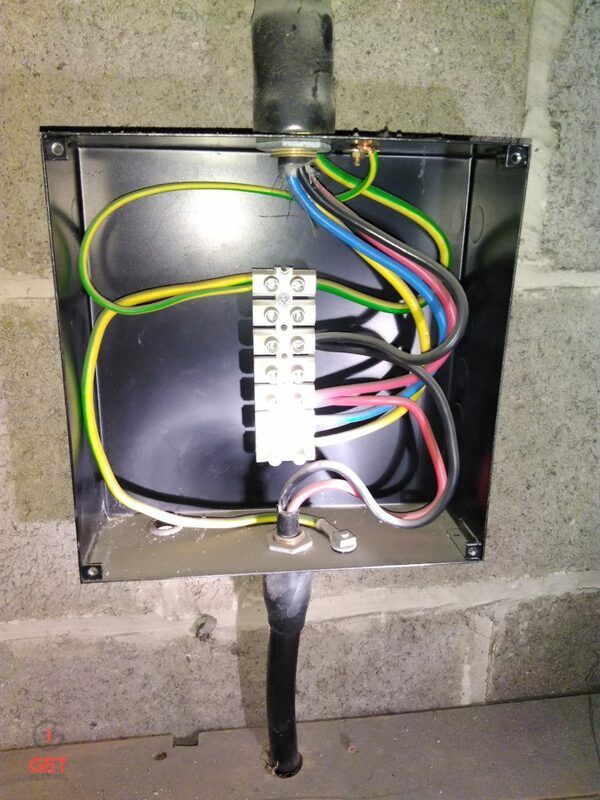 Sometimes known as Periodic Inspection, or Periodic Inspection & Testing, this process covers the testing of all the fixed wiring systems within your building, such as mains panels, distributions boards, socket outlets, air conditioning and others. It involves a series of stringent visual inspections followed by electrical tests on all systems within a building. It highlights any problems or potential problems, allowing you to plan any necessary maintenance works. Periodic Testing will involve having to disconnect electrical circuits within the building, so careful planning and management is a necessity to minimise business disruption. It is often best performed outside normal working hours, such as a factory shut-down week, or evening, night-time and weekend testing options are also available. 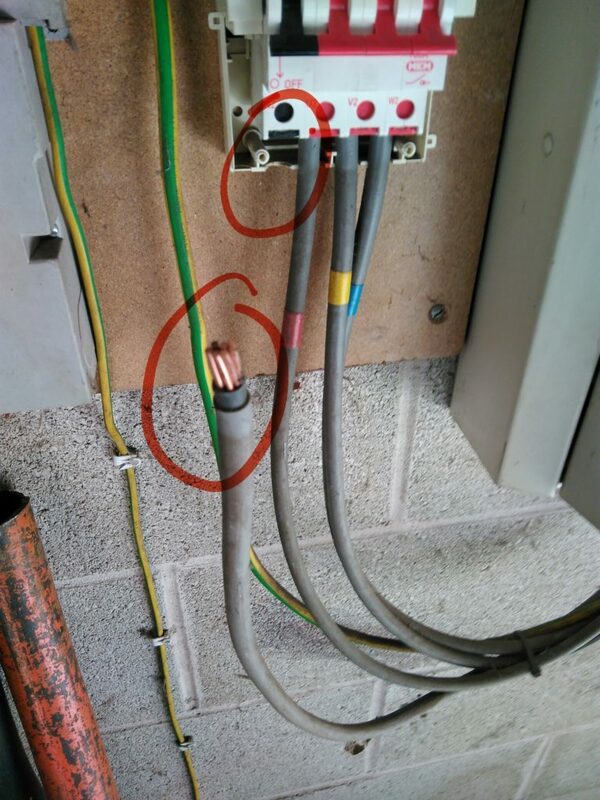 Fixed wire test are carried out to ensure compliance with current electrical wiring regulations. These periodic inspections enable the condition of the electrical system to be determined, as any failures or defects to the design and the safety of the system can be identified and then addressed.